Rice or nice? - Miata Turbo Forum - Boost cars, acquire cats. I've never been a fan of carbon fiber, but I've been toying with the idea of replacing some larger things with carbon fiber. If you have other carbon fiber parts it could work, otherwise paint it. Is this a fairly heavy piece? I've never taken mine off. 949 says it's 1.5lbs... is that really much less than stock? Maybe a few pounds. Wouldn't be the first thing I replace for weight savings. Purely aesthetics imo. 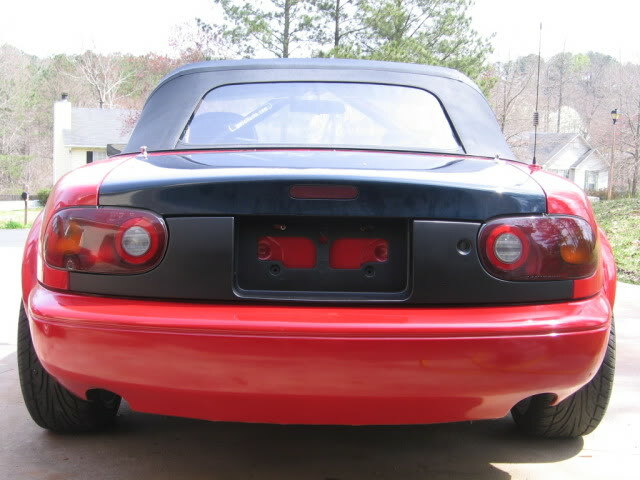 Replace the trunk lid if you want to lose weight. 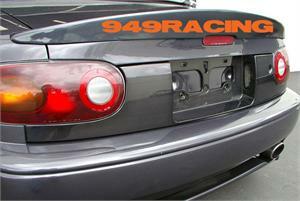 Why would you want ot loose weight in where you need it most on our cars? Just a thought. P.S. I say rice unless you have other CF on the car. Yeah, then its called ricer. I've pretty much decided against it. The price is just too much also. I sprayed mine graphite (it was scratched up and needed the key hole area opened for the shut off switch) and am starting to regret it. Mine looks like hell - faded pink - but I'd paint it before resorting to CF. Add-ons like that scream "I have no clue, so I'll slap this aftermarket stuff on to look cool" to me. Not heavy enough stock to justify. I was thinking of getting one myself. Mine's busted. I wouldn't think twice about painting it if it looked ricey as-is. I've been trying to justify the extra $50 over a $199 stock piece; I won't have to fill any holes from debadging and it won't crack with age like the stock one (I hope). 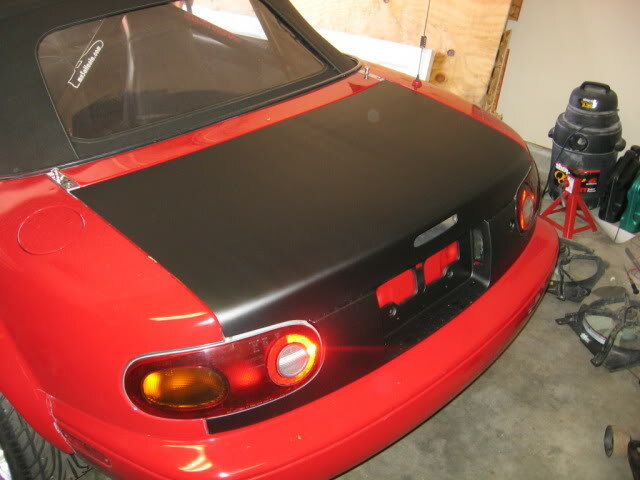 i like the look of the flat/satin black.....i wanted this cause of the fact that i think it looks good but didnt want to pay that much for one so i painted mine. Got it, myself. It's a nice looking piece, and it's not much more than a good condition 20 year old stock piece, that will probably crack in a few years anyway. Do need more CF to compliment it though. Quick Reply: Rice or nice?